Well, there you go – according to the Chicago Tribune which sources two people “with direct knowledge of the situation”, Groupon’s board has rejected Google’s offer – which was reportedly as high as $6 billion – with an eye on a possible initial public offering. Since this is the Chicago Tribune and Groupon is based in Chicago, this could be a pretty reliable report. Of course, the rumors have been swirling for about two weeks that Google had made an offer to Groupon – first we heard for somewhere around $2.5 billion, then it went up to $5.3 billion with a $700 million buyout option. Whatever the price that Google eventually offered Groupon, the still very young startup reportedly didn’t think it was worth it. This must have been an extremely hard decision, since no one – no one – scoffs at $6 billion. However, Groupon must have done a lot of thinking about what it could be worth on the open market, and if it keeps up anywhere near the pace that it has been, when/if it decides to go public – the Tribune says it will possibly make that decision in 2011 – it could very well end up being worth multiples of $6 billion. Or of course, someone else – possibly Google itself – could swoop in and take its crown before it ever has the chance to go public. That’s the risk Groupon just reportedly took. However, there is certainly one thing that separates Groupon from many other hot startups out there – it is raking in cash, which was certainly the main reason that Google want it – badly. The acquisition, if it had gone through at the highest reported figure, would have been Google’s largest to date, nearly twice as much as it paid for DoubleClick and four times that of what it paid for YouTube. Interestingly, just as this news from the Tribune broke, All Things Digital, which has been reporting on the talks since the beginning, now says that sources have told it that Groupon is actually going to bring in $2 billion this year – not the much lower, though still very impressive $500 million that many people have assumed. If that revenue is accurate, then we’re guessing the decision to not sell to Google might have been a bit easier than most believed. Also, turning down the offer helps to explain a bit why Groupon continues to make acquisitions of its own, including these in Asia. We will email both Google and Groupon for comment. So, what do you think? Smart move or will this come back to haunt Groupon if it’s true? 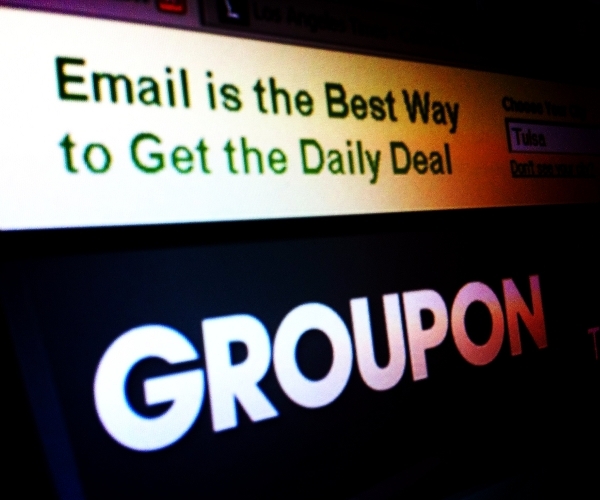 UPDATE 1: TechCrunch is saying that it has confirmed “with a source with knowledge of the deal” that Groupon has turned down Google’s offer AND that the company is looking at $2 billion run-rate, though of course it shares money with the businesses it is promoting, and we’re unsure whether how Groupon counts that. We still have not received word from either company after emailing them for comment.